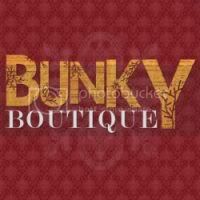 Check out Designs by Vanessa in person! A new episode of Glee won't air until April 13th, anyone else suffering from withdrawals? I have been listening to the soundtrack from Glee non-stop and I think that I actually like Glee's versions better than some of the original songs. 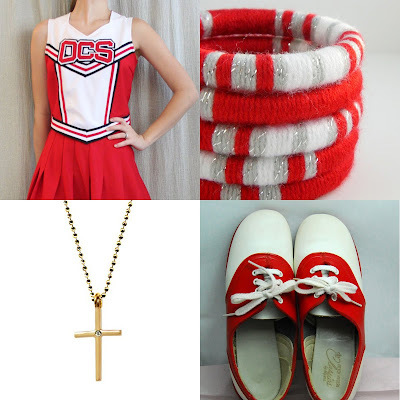 Here is a little Quinn Fabray fashion inspired post for my fellow Gleeks. Check out my Emma inspired fashion finds HERE and my Rachel inspired fashion finds HERE. 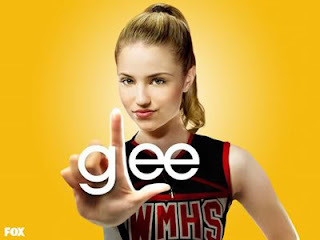 I am having Glee withdrawal as well! I have volume 1 of the soundtrack and it has been playing none stop it seems! I can't wait to get volume 2! I love your Emma Pilsbury inspired fashion post! I loved your Emma look. Love the Quinn look too. I know we are supposed to be rooting for Finn and Rachel, but does anyone else love Quinn and Puck more? Despite their characters? So wonderfully evil. I love those bangles to cute! I dont know what Glee is I live in the States but it looks like fun. perfect Quinn finds!! I'm going through withdrawals as well!! Hello! My name is Vanessa and I live in Arizona with my husband (Mr. Designs by Vanessa) and two furbabies. After trying for over 2 years, we're happily expecting a baby boy in August! 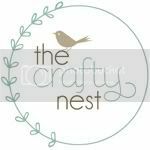 I blog about crafting and things that I love (stick around to figure out what that is). If you couldn't tell, I also have a love for all things birdie. Who said a girlie girl couldn't have a love for nature? !